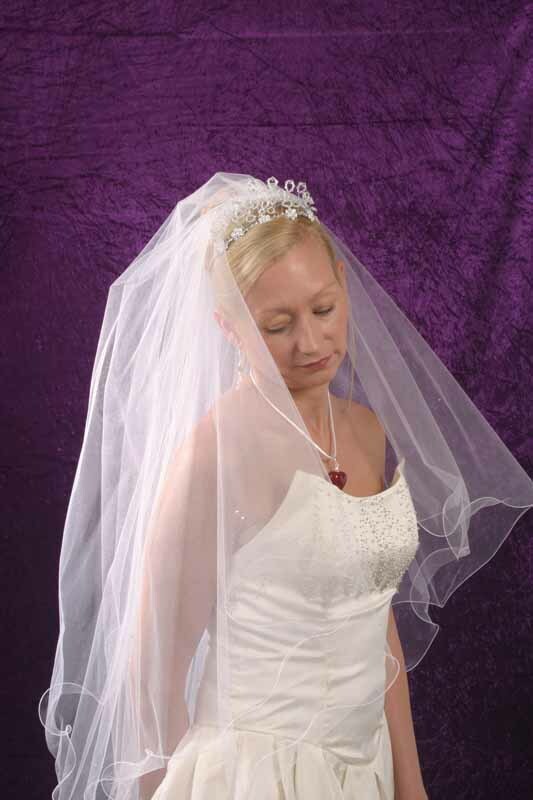 Romantic two layer Filigree edged veil scattered with clear Swarovski diamontes. 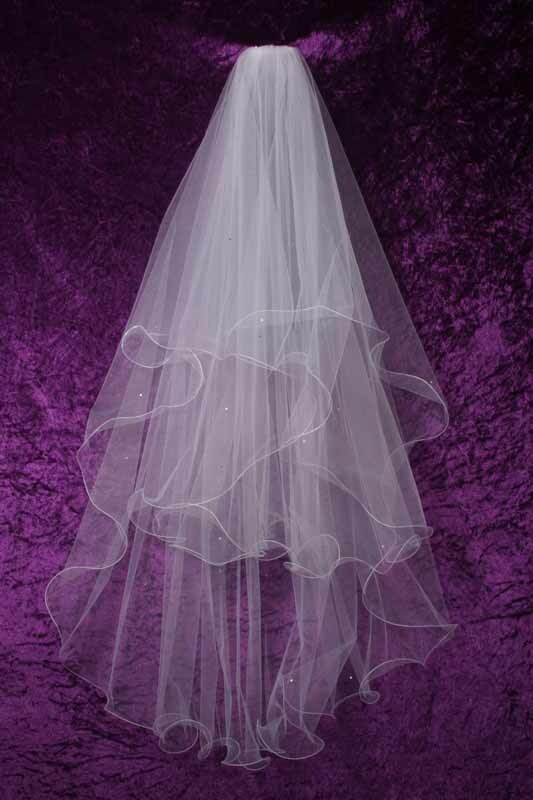 This veil is 72″ wide and centre gathered onto a satin covered comb. Example shown – Standard Finger tip.